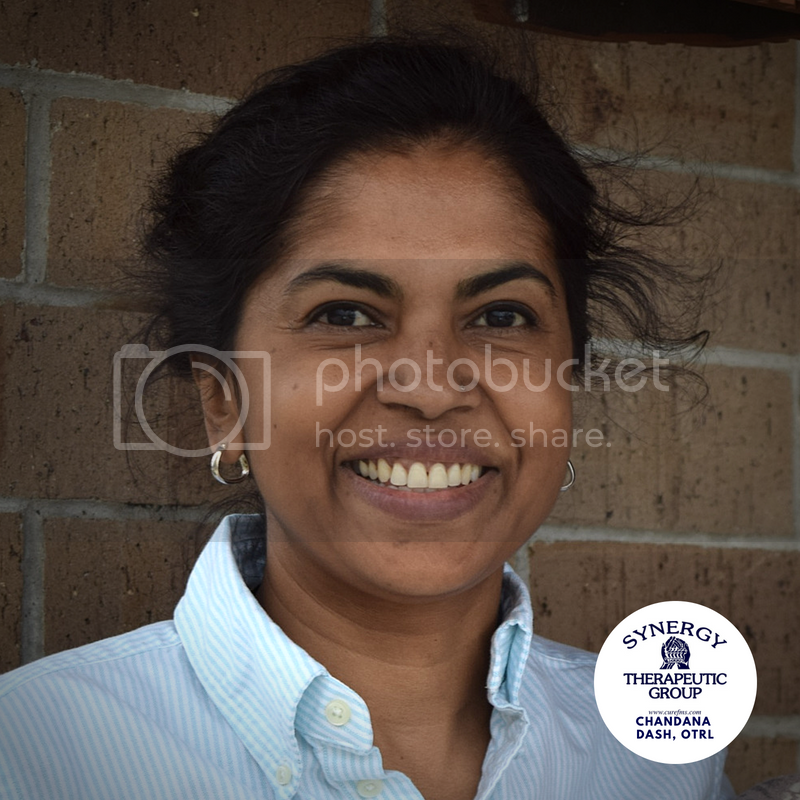 A specialist with a wide-ranging skillset for dealing with both children and adults in her practice, Chandana Dash, co-owner of Synergy Therapeutic Group, began her studies with a Bachelor of Science Degree in 1987. In 1992 she graduated from the Occupational Therapy program from the National Institute for Orthopedically Handicapped in Calcutta, India. Since then, her special interest has been in pediatrics. Between 1992 and 1995 she worked in an open learning system, a branch of the Spastic Society of Eastern India, where she did ground-breaking research work and helped develop many programs with special impact on sensory integration. In 1995 she came to the United States and settled in Southern Illinois in 2003. She now has evaluator credentials and served the pediatric population in the Illinois Early Intervention Program. As a mother of two children, she has a great capacity and empathy to connect with children and their parents. She also sees in her practice adults with pain conditions and vestibular issues. Besides being a member of her professional association, she is affiliated with multiple professional associations like the Vestibular Disorder Association (VEDA). When she is not working she likes to travel with her family to different places in the United States and internationally. 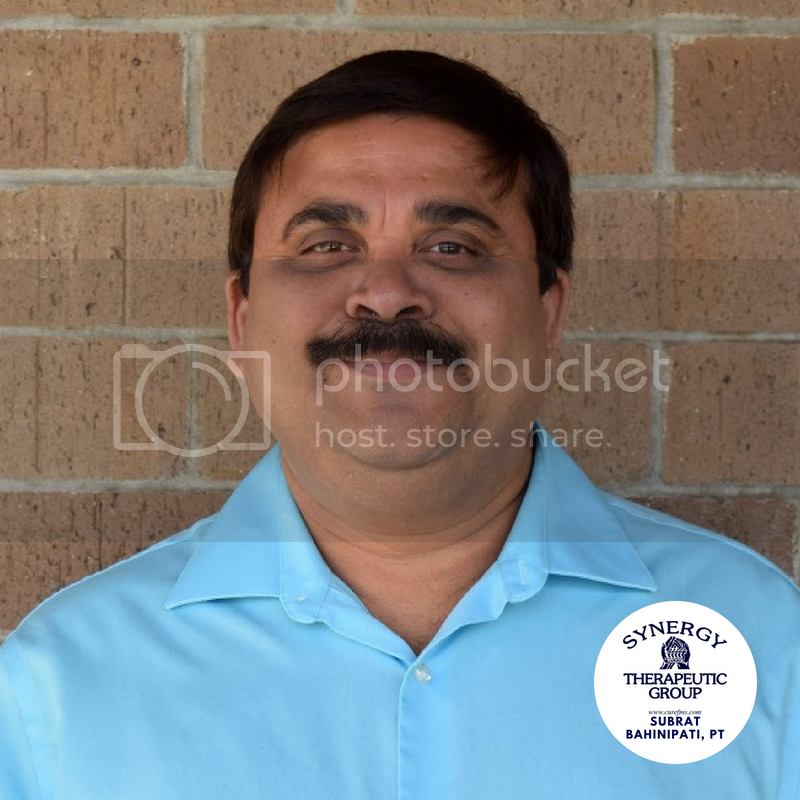 Subrat Bahinipati, Physical Therapist, has more than 27 years of experience in traditional and non-traditional physical therapy. Subrat developed a passion for treating chronic pain in all patients, but especially women suffering from fibromyalgia syndrome (visit www.CureFMS.com for more details). The success of Synergy Therapeutic Group comes directly from our dedication to achieve real, meaningful outcomes for the patients. Claire is a Southern Illinois native. A personal experience of watching her mother assisted by physical therapy helped to open Claire’s eyes to the profession. 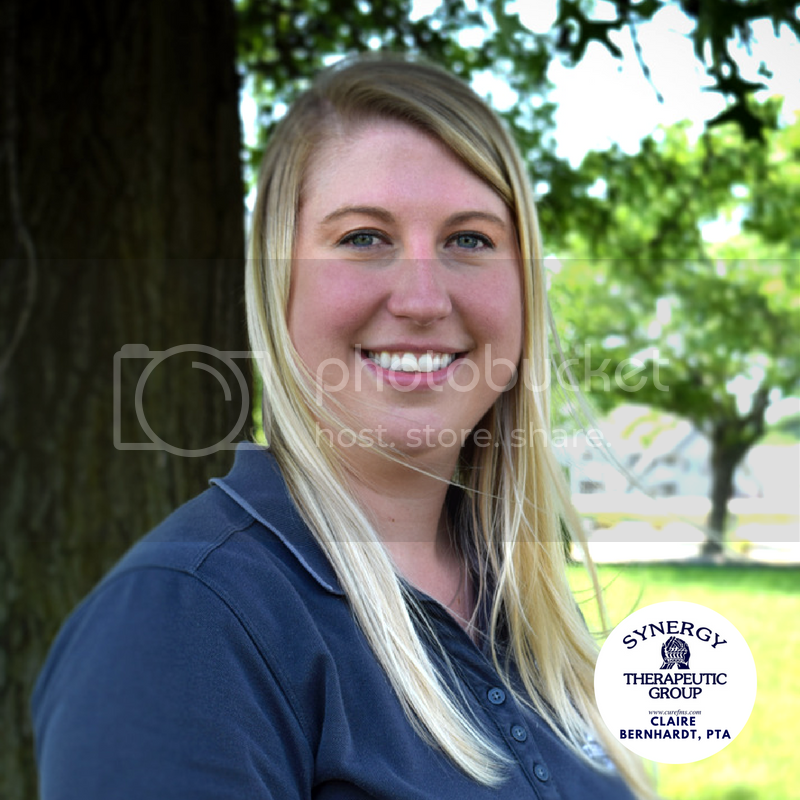 She has now been working since 2012 as a Licensed Physical Therapist Assistant following her graduation from Southern Illinois University. “My mother had a liver transplant in 2007 and the Physical Therapist taught us stretches and therapeutic exercises to do at home to aid in her recovery,” she explained. “I loved seeing her progress daily, weekly, and monthly.” Today Claire enjoys working in her chosen field and helping people through physical therapy. Claire enjoys horseback riding in her free time. Alexandra is from Rantoul, IL. She is recently engaged and is thrilled in her career field as an occupational therapist assistant. She graduated from Parkland College in Champaign, IL. Her love of the professional stemmed from working as an assistant teacher at a daycare. In addition, she has 3 younger siblings that she loves dearly. She is always taking suggestions on what pizza places there are in Southern Illinois. Outside of Synergy, Alexandra enjoys raising her dog. Brigitte is from Bolingbrook, IL, a southwest suburb in Chicago. She enjoys engaging with community members and helping educate the population about taking care of their health and wellness. Being able to give the general public information who suffer from pain daily is a mission she is set upon. When she is not at Synergy, Brigitte enjoys reading and continuing education on digital marketing platforms. Her favorite burger is the Jamison Bleu Burger from Flame in Carbondale, IL.